Posted June 5th, 2018 & filed under News. SALT LAKE CITY, Utah, June 5, 2018 – Hermes Creative Awards has presented England Logistics with two gold awards for the 2018 international awards competition. 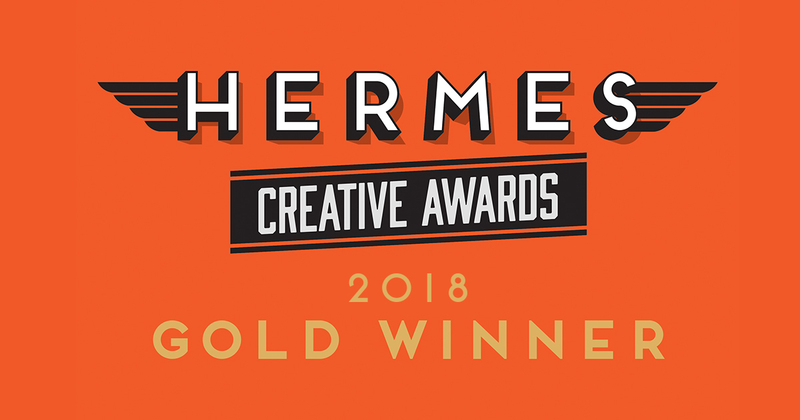 The Hermes Creative Awards are administered and judged by the Association of Marketing and Communication Professionals (AMCP). With over 6,000 entries, creative professionals ranging from corporate marketing departments to freelancers are invited to submit materials showcasing concept, writing and design. England Logistics was honored with two gold awards from Hermes Creative Awards. The first award was received for the development of a new company website, which can be found at http://www.englandlogistics.com. The second award was received for England Logistics’ blog, which can be viewed at http://www.englandlogistics.com/blog. A complete list of platinum and gold winners can be viewed at http://enter.hermesawards.com/winners/. England Logistics offers a vast portfolio of non-asset based transportation solutions including full truckload services, intermodal, dry and cold chain LTL, parcel, global logistics, and complete supply chain management. England Logistics is an equal opportunity employer offering competitive national and international opportunities to qualified candidates. The company is recognized among the “50 Best Companies to Sell For” by Selling Power magazine and “Training Top 125” by Training magazine. Each completed transaction with England Logistics is matched with a contribution toward a meal for a hungry child through the company’s One initiative to end childhood hunger. Headquartered in Salt Lake City, Utah, the company also has offices in Atlanta, Georgia; Detroit, Michigan; Greeley, Colorado; and Portland, Oregon. To become part of England Logistics’ team call 866-476-7012 or visit www.englandlogistics.com. To learn more about the One initiative visit www.oneagainstchildhoodhunger.com.